Tucker Door & Trim is dedicated to customer satisfaction through service, integrity and innovation in the wholesale building material market. 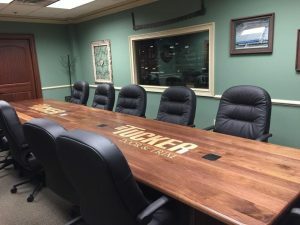 Since 1967, Tucker Door & Trim has been a well-respected wholesale distributor and manufacturer of doors, windows and specialty millwork to the construction industry. This family-owned-and-operated company is rooted in age-old concepts such as quality and integrity, but has its eyes firmly focused on the future through the continued expansion of its fleet, service area, and product line. As an Energy Star Partner, Tucker is proud to place an emphasis on energy efficiency in its product offerings. Perhaps best known for its exceptional delivery system to meet the service needs of its clients, Tucker Door & Trim boasts an ever-growing fleet of tractor-trailers making regular deliveries to wholesale customers throughout the Southeastern United States, including Georgia, Alabama, Florida, Tennessee, Virginia, North Carolina, and South Carolina. Between its two facilities in Georgia – Monroe to the northeast and Albany to the southwest of Atlanta – Tucker encompasses approximately 360,000 square feet of manufacturing space filled with state-of-the-art equipment, as well as highly skilled artisans and craftsmen to keep up with rising demand. PVC Windows - Our Ultimate Series 2300 PVC Sash window is designed to mimic the look of a traditional double hung window. We then match that classic look with the superior quality of PVC. This combination provides a virtually maintenance-free window while preserving the home’s architectural styling. The sash components are 6/4 PVC. Since PVC is characteristically weather resistant, painting of the sash is not required. Our PVC windows are also offered in Low-E 270 and 366 glass with argon fill. In addition, GBG and SDL options are also available to meet the needs of any home owner. Our window frames use a composite sill and sill nosing with PVC trim. Vinyl Sash Windows - Our Legacy Series 2300 vinyl windows offer a traditional look without the maintenance needs of the wood sash window. 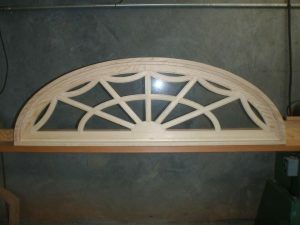 This window is offered with the 6/4 sash components in both white and beige. The sash has 4 welded corners vs. traditional screwed corners and consists of a hollow extruded vinyl component. Painting is not required for the sash. Cardinal Low-E 270 and 366 glass with argon fill are available and we offer GBG and SDL patterns to fit any home’s décor as well. All vinyl windows should be painted with a vinyl safe paint that has a LRV value of 50 or greater. Our window frames use a composite sill and sill nosing with PVC trim. Wood Windows - Our Alpha series 2100 wood window offers many of the same features as the label line window manufacturer, but at a more competitive price. Our 6/4 wide sash parts increase the strength, durability, and insulating values of our windows. This sash is available in a stain grade version called the Woodland Series 1100 as well. All our windows are sold with Cardinal Low-E 270 glass as standard and can be upgraded to Cardinal’s Low-E 366 glass and Argon filled if desired. We also offer GBG and SDL bar layouts to match any home’s needs. Our window frames use a composite sill and sill nosing with PVC trim.